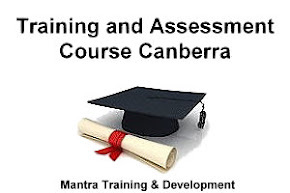 Mantra Training & Development: Expand your mind with a good book. What are you reading? Does it empower and inspire you? I do understand their may be a reason to read the newspaper and listen to the news, but filter it. If you only listen to negativity it will make you feel negative, have a balance of what you read and allow into your experience. We have even more information coming into our lives than ever before. Social media can be a great tool for many reasons however like anything we must filter what we read and listen to if we want to stay focused. 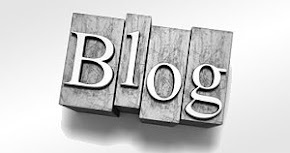 With technology today we are not limited to having to read a hard copy book, we have kindles and audio books, a cd in the car or a download to our computer, tablet or iPad, or as I do my phone. Apple has iBook’s and we are unlimited to how we access books today. If reading a book isn’t your thing try audio programs and the great news is we have free access to Libraries! As an avid book reader myself I am always on the lookout for new books that I am inspired by or a book that helps me nut out a problem I may be facing. I have read many and have built up a wonderful library over the years. I also love to loan out the books to others who may not have built up a library but want to read a good book to help them in life or business. 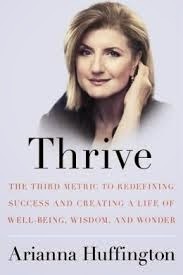 Currently I am reading “Thrive” by Arianna Huffington (Huffington Post) and it has provided me with great confirmation of what I knew about the importance of sleep and meditation, among other facts that have been scientifically proven to assist with stress reduction general well being and creativity. She talks extensively about disconnecting from our phones and reconnecting with our loved one's and being present and in the moment. The truly amazing fact is I found this book on the 6th April 2014 whilst on my way to Darwin feeling totally burned out and Arianna had her wake up call exactly 7 years before on the 6th April 2007. She was 2 years in Huffington Post and I was just getting started. 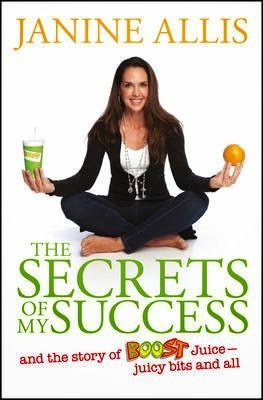 Another book I am almost finished is “The Secrets of my Success, and the story of Boost Juice” Janine Allis and it has some great insights into business success from someone who is successful and happy to share the key ingredients, as she puts it in her book. Very honest bits from both Janine and Jeff her true life partner in business and love. This book is easy to read and full of valuable lessons and again this reminds me of all the mistakes we have to make before we get it right. I think all too often we don't believe we should make mistakes yet this is what makes the successes more valuable. A good friend of mine asked “Who will I leave my collection when I die?” To be honest I had not thought about that till then, but it is actually a substantial collection. Including a very old edition of the, “Laws of Success” by Napoleon Hill and a signed copy of the “Seasons of Life” Jim Rohn. Books that I am very proud to have in my collection. I also have a number of great Audio programs to feed my University in the car addiction. moving on…… I love to hear stories about what someone is reading and why (if they do) they love it so much or what did it bring to their life. One of my previous Students read "7 habits of highly effective teenagers". The feedback from her was amazing and I know that the book impacted changes in her life in very positive way. Another student has discovered the power of University in the car for her long drives to Albury, Cate especially loves Jim Rohn’s weekend seminar from 2004. 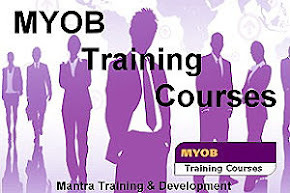 What learning's has it brought to your life? What has it inspired you to do or stop doing? I have read many books but some of the most powerful books have been the Four Agreements Don Miguel Ruiz, The Success Principles, Jack Canfield, Excuses Begone, Dr Wayne Dyer, The Gifts of imperfection and Daring Greatly, Brene Brown. There are so many that I love and often go back to in tough times. Books have inspired me to learn from my many business and personal mistakes and given me insight to find alternative solutions, embrace the learning's and forgive myself and move on. They have given me drive and inspiration to keep going in tough times and also to motivate others. I will forever read and obtain ideas on how I can continue my growth and knowledge. So find an alternative if what you are doing is not working, maybe the next book can help you. Live life abundantly and remember happiness is a choice, so choose each day to be happy and smile at a stranger it may be the only smile they see that day.